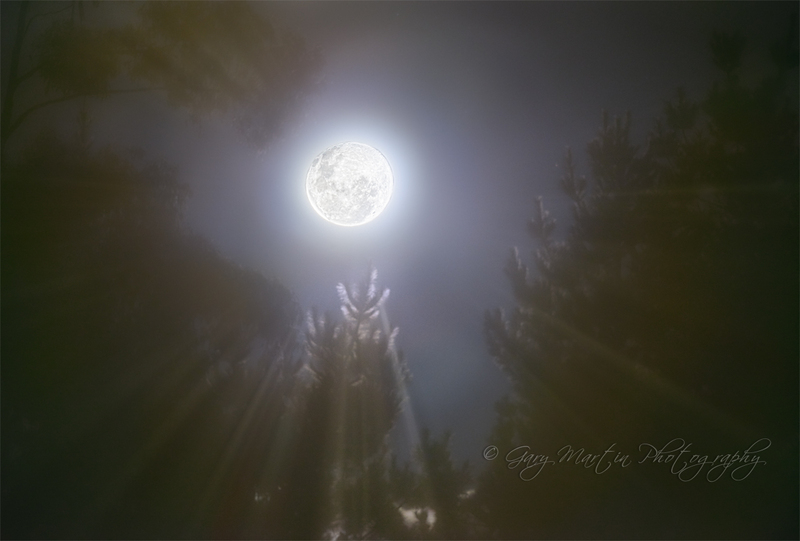 2 exposures combined for this photo to capture enough detail in the trees and sky as well as the moon. Both exposures imported into Capture One Pro 8, adjusted to recover highlights and shadows with some selective sharpening and clarity adjustment layers. Both exposures exported to Photoshop CS 5 for final layering and edit.